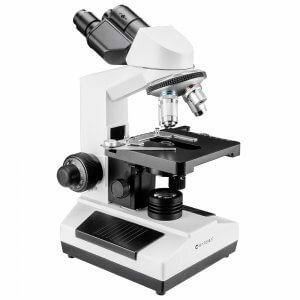 Compound Microscopes are constructed with two optical paths at the same angle. 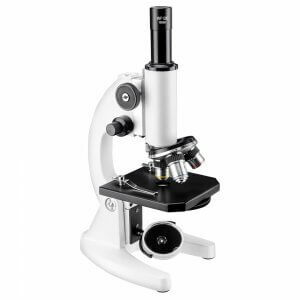 The compound microscope has two systems of lenses for greater magnification.Stereo Microscope are designed with two separate optical paths with two objectives and two eyepieces to provide slightly different viewing angles to the left and right eyes. In this way it produces a 3-D visualization of the sample being examined. 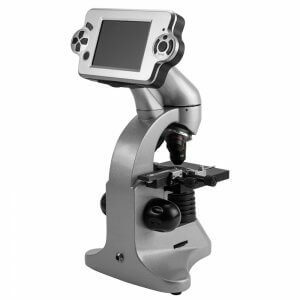 The zoom provides different magnification and features an inversion system which allows the image to be viewed normally and right side up. Digital Microscopes BARSKA's digital microscopes are state-of-theart integration of high quality microscope and a digital camera. 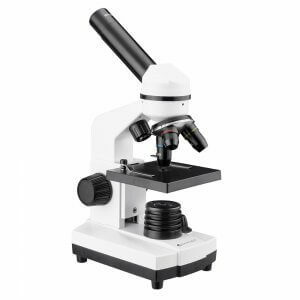 Simply connect the microscope to the computer with the USB cord to magnify the object and view them on your PC screen and with option to save. 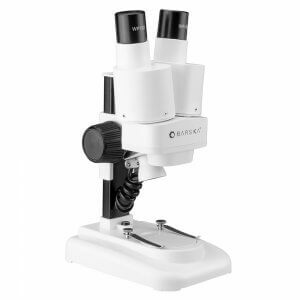 Digital microscopes are great for educational purposes because several people can view the specimen at once. 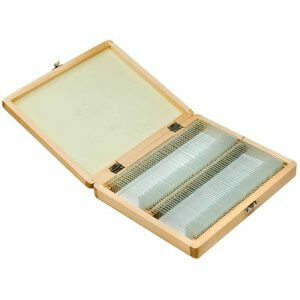 Microscope Accessories, Prepared Microscope Slides, slides can include but are not limited to human tissue, plants, animal cells, and/or bacteria, Illuminated LED magnifiers that provides a bright and clear view even in the dark and a handheld monocular microscope. The avid nature enthusiast knows that enjoying the great outdoors doesn't always mean appreciating nature's largest and rarest of animals. Sometimes, a fond appreciation of nature means looking into the cells, bacteria, and tissue, which make life itself one of the great wonders of the world. 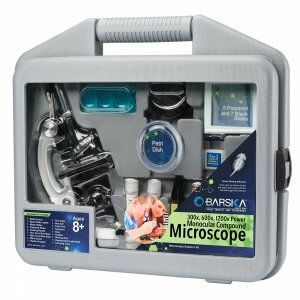 That's where microscopes come in, and a company as committed to optics as Barska would be remiss if it didn't offer industry-leading microscope products. 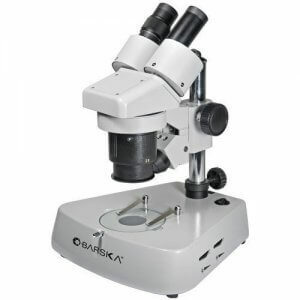 Barska understands that consumers have a wide range of needs when it comes to using microscopes to their fullest potential, and that's why it has crafted a long line of microscopes that are quite varied in size. 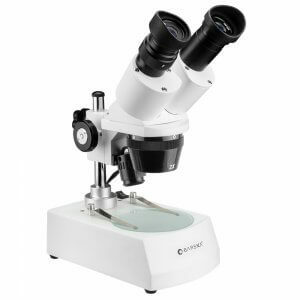 Indeed, the company pairs traditional, laboratory-style products with handheld monocular microscopes that can be used right out among nature rather than forcing the enthusiast indoors to look at their findings. It's that kind of consumer-centric design and product availability that really sets Barska apart from its competition. Beyond the mere size of the company's microscopes, consumers will want to note the illumination technology being used to enable the high-powered magnification promoted by these devices. 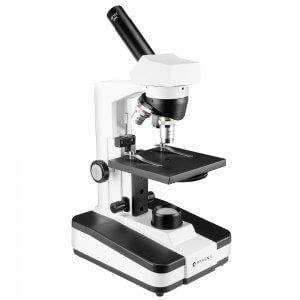 In the current age of LED lighting, there is simply no reason to purchase a new microscope that does not utilize an LED bulb for ultimate energy savings, illumination control, and heat management. 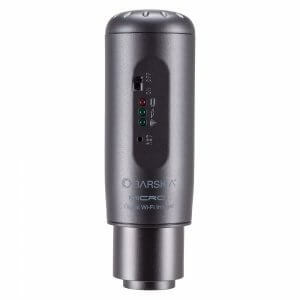 Luckily, the microscopes sold by Barska for use either in the field or indoors do bundle LED illumination technologies for the ultimate in comfort, efficiency, and vision. 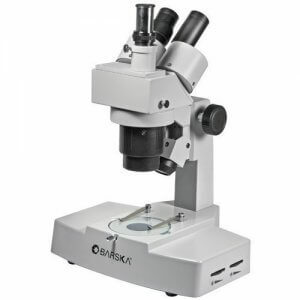 Customers in the market for a new microscope should remember that they'll be needing delicate glass slides in order to view their findings from the natural world, and Barska offers a healthy assortment of these slides to its customers. 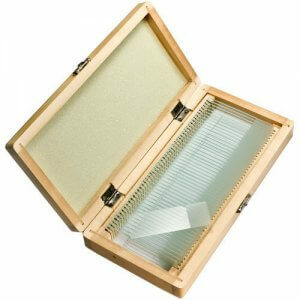 They come packaged in a durable and stylish wooden box, lending themselves to the sort of admiration and long-lasting viability that has always been the hallmark of a Barska product.